You thought that you would add a touch of authenticity to your overhead panels by including some brand new knobs, so you came to the simquip web site and went to the knobs page. After seeing the knob prices, you had somebody yell "clear" and restart your heart with a defibrillator. Knobs are expensive, but there are reasons, they are not very good ones, but it may give you a better understanding of why these items are so expensive. To start with there are only 2 bona-fide aircraft knob manufacturers in the world, and they pretty well have the knob market by the b***s. Boeing and Airbus have long duration contracts with them and have an agreement to ensure that supply is restricted and prices are kept artificially high. Your average knob is only painted clear acrylic resin with a metal insert. On a medium production basis, the materials involved in their manufacture should only make them cost about € 10, so how does the price get up to as high as € 70 for a single knob? On some flightdecks, some knobs present may be unique, ie: there may be one knob of one kind on a flightdeck. This means that if that model aircraft's production run is only 500 aircraft. Then the company making the knobs would only make say 500 for aircraft production and 500 spares. Thats only 1000 knobs.Hardly an economical production run for a company who makes knobs for a living. I know of a taiwanese knob company who makes knobs for domestic electronics companies. Each knob and variation they produce has a production run of between 500,000 and 700,000 knobs. Knob prices like most things are based on the rule of Economies of scale, or the more you make the cheaper they are. After the aircraft knob is produced by a plastic moulding machine, they are all hand striped and finished individually to produce a knob that will transmit light. Hand striping is a complex, time consuming task. It also is controlled by a very complex paint spraying procedure. Spray too much paint and the white knob pointer will not transmit light correctly. Spray too little paint and the knob can suffer from light bleed. All Aircraft parts distribution and use is controlled by FAA/PMA certification. This is a regulating body that decides if a part can or cannot be used on an airworthy aircraft. It also enables trace information to be compiled on any aircraft part or assembly. Any part with trace information on it will cost big bucks because it has a complete history of operation and use, this history costs money to compile. Simulators usually have a high level of OEM parts. The bureaucracy of FAA/PMA certification adds big dollars onto the price of any aircraft part. One of the things you may have been told or observed is the commonality of parts across the Boeing and Airbus aircraft family range. These manufacturers often use the same parts not because they cant be bothered redesigning them for a new model. They usually have a philosophy of "if it aint broke, dont fix it". This philosophy means that a 1962 727 control yoke is exactly the same as a 2010 737 control yoke. The same applies to the nose section on the latest B737, it is structurally the same as that of a 1955 707, although the distinctive eyebrow windows have now been deleted from the design. Does all this mean that you can use a 707 or 727 cockpit for simulator. For the cockpit shell and main structure, yes, but for much of the internal goodies usually sold along with a nose section, No. Here is what is the same and different between say a 737NG and a 727 cockpit. I am assuming that you are are building a 737NG from a 727 nose section that you have acquired. This will work and are the same between aircraft; The nose section As previously described they are dimensionally identical except for the eyebrow windows. The control system virtually identical in mechanics and operation right down to the rudder pedal adjusters. There are some differences in the control breakout mechanism, but unless you are building a Level D simulator, you dont need to worry about this detail. The yokes and control column the yokes are the same, but the control columns are about 1 inch shorter than the 737. This wont matter for the home built simulator, but will fail a high fidelity simulator. Rudder pedals The same in both aircraft, but early 727s had small plastic guards on their rudder pedals which are easily removable. Instrument panel Forget about it, between the 707,727 and 737, they are worlds apart and even thinking about adapting them is just not worth the effort. Throttle stand I have converted a 727 throttle stand to a 737 unit, but it took a lot of machining, time and money. You will need to change almost everything on the quadrant to make it look the part including knobs, flap lever and thrust levers. Avionics console (aisle stand) Forget about it . The 727 is 2 row and the 737NG is 3 row, besides that the 727(and some 737s) incorporated the rudder trim into the structure of the Aisle stand. Interior liners Chuck them in the bin at your first opportunity, between the early 737, 727 and 737NG they are not even remotely the same Seats The 727 and early 737s ran on straight seat runners, but all post 300 series 737s ran on 'j' rails. You can use 727 seats, but they look wildly different from a 737-NG seat. Buy a scrapped aircraft nose section. Purchase a pre-made shell specifically for simulator use. Each of the above options has merits and failings, but ultimately the end result will be all about your passion, enthusiasm and skill. #1 buy a scrapped aircraft nose section. In 1998 the company I was working for decided to build a 737 simulator. The obvious fast track to this end was to purchase a nose section from a retired airliner. We had all seen the videos of hundreds of aircraft sitting the baking Arizona sun and it seemed just a matter of slinging somebody $500 to cut off a nose section and ship it back home.WRONG!!! In 1998, there were dead 737s everywhere and the Americans thought we were slightly mad to want to buy a 737 nose and then ship it back to Australia, but after some convincing found a dealer at a scrap yard who was willing to sell us a nose section from a 737-200 with over 69,000 cycles on the clock. The cost of the nose section was $3,000USD and there was a $2,000 fee to cut the nose away from the aircraft.$3,000+$2,000 and we haven't even got it back home yet, so much for our $500 budget. We paid a total of $7,000 to transport the nose section from Arizona to our home city in Australia. Once we had the nose section to carefully examine, it was clear that everything inside had to be removed so that we could start from scratch. There was much preparation to be done including the removal of the insulation and over 200lbs of wiring that seemed to be attached everywhere.To refurbish the flight control system and adapt it for simulation use, se had to cut it away from the floor of the flightdeck. If you have aspirations as to how cool it would be to have your own real cockpit to mess around with, the glow soon wears off once you start trying to wrench wire bundles out of the zillion channels and cavities Boeing build into their flightdecks. It soon occurred to us that once we prepared this cockpit and it was gone, we would have to start the whole gruesome process over again. Since the time we purchased our nose section, dealers have wised up and started charging up to $15,000 for a cockpit. Not bad for something they used to crush and sell for $500 in scrap. If you are lucky enough to afford your own ex-airliner cockpit, you are going to discard almost half of in preparation for your simulator. #2 Purchase a pre-made shell specifically for simulator use. Many have tried and quite a few have failed. Even if you obtain accurate dimensions for your cockpit of choice the problem of construction is quite difficult. Unless its a stealth fighter you are building, most aeroplane nose sections have numerous compound curves to direct airflow smoothly around the nose and windshields. A compound curve is one that curves in two directions. Regardless of what material you use to skin your cockpit shell, it is near impossible to produce compound curves without some seriously expensive machinery like an English Wheel. Unless you are fabulous with wood or are a sheet metal worker, you should consider carefully if you want to make your own cockpit shell. Sure, you can take the creased panel approach like one of the cockpit kits out there, but you dont want to end up with something that looks like Frankenstein. You could argue that you never get to see the outside of a cockpit when you are flying, but if you end up making a free, standing simulator, you want to be proud of how the thing looks. Actually, this article should have been called, "how not to go broke" because it deals with the pitfalls usually encountered by those attempting to build a simulator professionally for the first time. The story usually starts by somebody recommending or relaying stories about the work you have done building simulator parts or assemblies.Once your ego is sufficiently inflated, you now believe that you have just cause to offer your expertise at building a simulator. Its at this point that you should trust in an old saying: "never let your ambitions outstrip your capabilities”,or as Dirty Harry once “every man has to know his limitations”, but the temptation of having somebody pay for you to build a simulator is way too great for you to resist, and like any plane crash it is a series of events rather a single one that causes the whole thing to unravel. The following are the usual mistakes commonly made by most new constructors attempting to undertake construction of commissioned works. Mistake #1 Not knowing what is involved in sim construction. If you have read the article on "getting certified" you should understand by now that getting some form of certification or accreditation is essential for any simulator to be truly useful in a commercial environment. 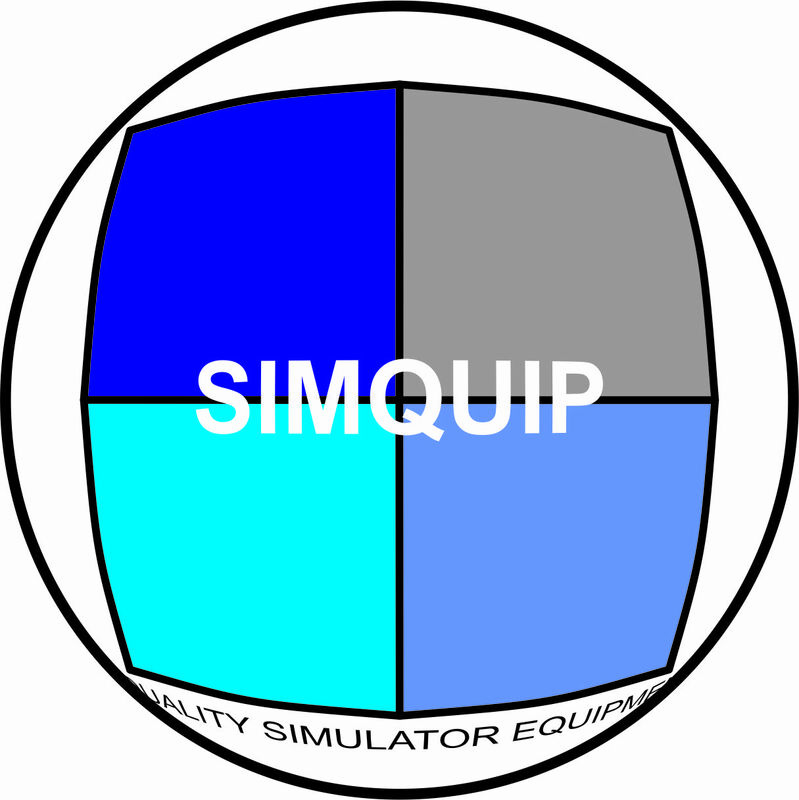 If somebody wants you to build a simulator, then they want to make money from it. You really need to think backwards and know how you are going to get to the end before you attempt the beginning. You need to have an intimate understanding of the regulations an qualifications involved in testing a simulator before even quoting on a job. Mistake #2 Underquoting on time In an attempt to promise the world to your new client and impress them you tempt them with incredibly short lead times and tell him/her that "yes it can be done in that time", because they may be fairly desperate to get a training device installed and earning money, they may unwittingly cause you to quote a highly unrealistic timeframe for delivery.In your minds eye, everything is so simple and straightforward and things will come together very quickly.Keep in mind that while you may be fast and efficient in your construction methods, you are ultimately at the mercy of your vendors. If they dont deliver on time, it has a flow on effect to you. I worked with one small company in the Netherlands who promised delivery of a level 6 FTD to their client in 3 months!!. That was in early 2009. At this point in time they are still trying to deliver. Mistake #3 Underquoting on price Nothing, repeat, nothing will cost what you budgeted for. A simple example of a budget blowout is flight performance data. Inexperienced constructors think that data they have extracted from some third party manual will suffice as flight performance data. This couldnt be further from the truth. Flight performance data for the purpose of simulator certification must originate from a real aircraft and be gathered only under certain conditions. You would also have to prove the source of your data. The local authority would ask you to prove such things as "what was the tail number of the aircraft you got this data from","when did the flight take place"," what methodology was used to extract the data". The accepted way of using original, authorised data is to purchase it from Boeing or Airbus, but you wont get much change from $1,000,000.Lower levels of FTDs can use airfoil design formulae to prove flight performance, but this still costs a ton of cash. Most of the hardware you try to use cannot be sourced from Radio shack and will not be acceptable for a simulator of any level, most of the switches are specialised and Expensive!! In 1999, I worked with a guy who quoted $12,000 to build an FTD for a client. The FTD was principally going to be used to practice hot engine starts and use of the fire suppressing equipment. His first task to construct the sim was to buy the engine start switches used in the 737. To his surprise Boeing quoted almost $14,000 for a pair of engine start switches. At this point the project was cancelled before it really started. A testament to underquoting on price. Mistake #4 No, you cant use flight sim The assumption by many constructors is that MSFS is suitable as a flight model or simulation engine. Despite millions of PC installations around the world, MSFS is not really much of a flight simulator. You need to think of it as an approximation of an aircraft simulator. Yes, its got tons of eye candy and you can visit in great detail, most airports around the world, but it is a $100 piece of software that covers most users requirements.That one simulator program running on your PC has to generate flight model data,generate visuals, generate sounds and events and monitor lots of other interrupts and events on your little PC. On an accredited, industrial grade simulator, the simulation engine is usually just a gigantic flight performance formula running millions of lines of code per second in an attempt to replicate the behaviours of a flying aircraft. Rarely will the simulator run wholly on a single computer. It usually consists of racks of dedicated computers performing a single task, such as, IG, sounds, weather, Simulation engine, IOS, airport database. At the end of the day a program like MSFS is just not configurable enough to have it perform like a real aircraft. The basis on which it was written means that it was never really intended as a serious, high fidelity simulation engine. Sure it spits out over 1000 bits of data per second, but a real commercial simulator computes up to 5,000,000 formulae per second in an attempt to simulate a real aircraft operating in the real world. Fly a real, high end simulator and then jump behind the joystick of your Dell running MSFS, the difference should be astounding. Summary This article is not an attempt to dissuade you from sim construction, but to attempt any commercially driven construction without eyes wide open is a formula for failure.Many constructors, will remain happy to just build for their own pleasure, but for some their passions and the temptation to build a commercial grade simulator will be just too great to resist. Without a solid and unwavering work ethic and adherence to most of the advice here, you will without a doubt fail.